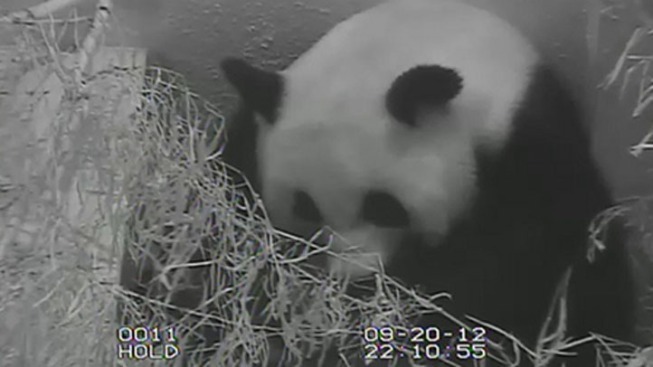 The National Zoo's Panda Cam on Friday offered viewers the best glimpse of Mei Xiang’s cub yet. Mei Xiang is proving to be a doting mom, as a new video released Friday shows the National Zoo's panda giving a loving bath to her brand-new cub. The Panda Cam video is the best glimpse of the Zoo's new superstar yet. The five-day-old cub is balanced on mom's arm, squirming and vocalizing as Mei Xiang gently grooms her. Check out the new Panda video here.